"There's something evil in this house…" Focus Features has debuted the first official trailer for The Little Stranger, the latest film from director Lenny Abrahamson (Frank, Room). This suspense horror is set in the 1940s, where a country doctor encounters a family "haunted by something more ominous than a dying way of life." The film definitely has a creepy vibe to it, but this trailer plays more like a period-piece mystery thriller. Domhnall Gleeson stars as Dr. Faraday (with an impressive mustache to boot), and the full cast includes Ruth Wilson, Charlotte Rampling, Will Poulter, Anna Madeley, Kate Phillips, Josh Dylan, Camilla Arfwedson, and Amy Marston. I dig how luscious and detailed the whole film looks, from the scenery and sets to the cinematography by DP Ole Bratt Birkeland, and the lovely music. I'm not that frightened by anything in this trailer, but I'm very curious about it and I want to see more. Take a look. 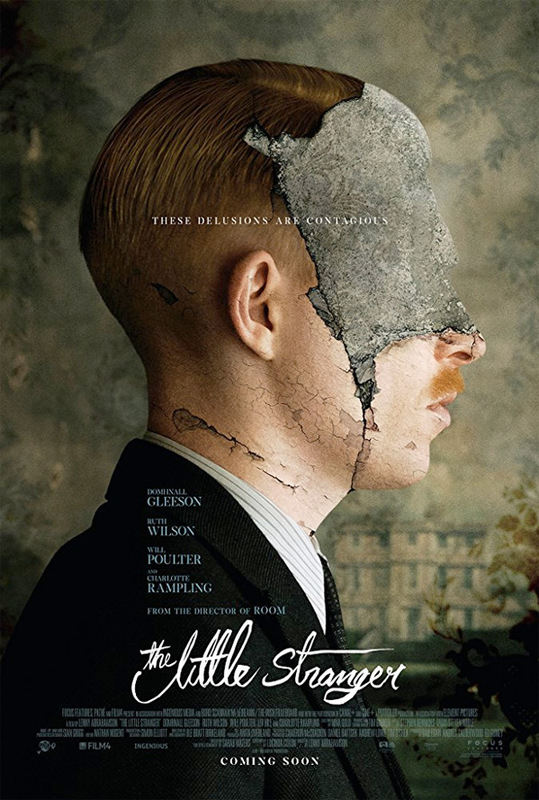 The Little Stranger tells the story of Dr. Faraday (Domhnall Gleeson), the son of a housemaid, who has built a life of quiet respectability as a country doctor. During the long hot summer of 1947, he is called to a patient at Hundreds Hall, where his mother once worked. The Hall has been home to the Ayres family for more than two centuries. But it is now in decline and its inhabitants - mother, son and daughter - are haunted by something more ominous than a dying way of life. When he takes on his new patient, Faraday has no idea how closely, and how terrifyingly, the family's story is about to become entwined with his own. The Little Stranger is directed by Irish filmmaker Lenny Abrahamson, director of the films Adam & Paul, Garage, What Richard Did, Frank, and Room previously. The screenplay is written by Lucinda Coxon, based on the novel of the same name written by Sarah Waters. Focus Features will release Abrahamson's The Little Stranger in select theaters starting on August 31st at the end of this summer. First impression?